The literary movements of realism and naturalism are so closely associated with each other that they have been used interchangeably. Both tell stories “as it is”, and in the most realistic and objective style. However, realism and naturalism are separate literary styles that do have significant differences. Realism, or literary realism, is the representation of a subject matter in the most realistic and objective manner. It does not employ artistic conventions or improbable and supernatural events. Realist authors tell stories about everyday experiences of ordinary people without flair or overly dramatic tones. Realism as a literary movement emerged in France in 1848 and later spread throughout Europe and the rest of the world. It was seen as an attempt to depict the lives of the middle and lower classes and as a reaction to romanticism, which tells stories of royalty, the rich and even divinity. Realism broke this traditional style and instead presented stories of the working class. There were no romantic heroes or enthralling deities, just stories about ordinary people the masses could easily identify with. 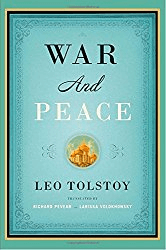 Leo Tolstoy, regarded as one of the greatest writers of all time, was a realist. He wrote “Anna Karenina” (1877) and “War and Peace” (1869), both considered the best realist fiction ever written. Naturalism was the evolution of realism that became popular during the 1880s. It took realism’s adherence to logic, objectivity and facts and brought it to a new level by focusing on the scientific method and observation. Naturalists avoided the supernatural, symbolism and fantasy. While authors of naturalism aligned themselves with realism, they chose to write about the grittier, darker side of society. They wrote about corruption, poverty, violence, prostitution and misery. It is because of these dark themes that naturalists were often criticized for being too pessimistic. 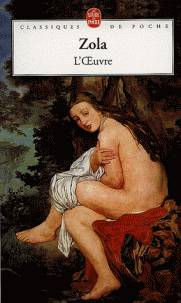 Literary naturalism was founded by Émile Zola, a French novelist, journalist and playwright. He is best known for the twenty Rougon-Macquart novels he wrote about the Second French Empire. Other naturalist authors include Theodore Dreiser, Thomas Hardy, Frank Norris and Stephen Crane. So what’s the difference between realism and naturalism? Although realism eventually developed into naturalism, both literary styles still have significant differences. Realism was a literary movement that was all about real life and the presentation of familiar subjects as they were. Naturalism was a literary movement that evolved from realism. It still depicted subjects as they really were, but added a scientific aspect to the literary piece. Realism dealt with subjects that depicted the daily lives of common people; it was more of an account of the everyday goings-on of the middle and lower classes of society. Naturalism focused on darker topics that involved the lives of the common man. These topics included prostitution, violence, corruption, vice and other darker topics.